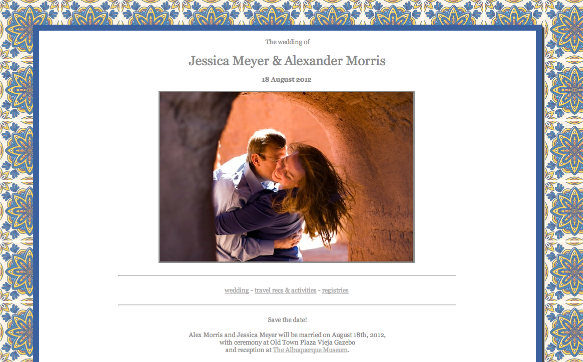 I visually designed, and created using HTML5 & CSS3, a website that served as home base for all of the info Alex & Jess wanted to send out about their wedding. I created the background image from a slightly different starting image, and created the boxed frame style using original HTML/CSS code. 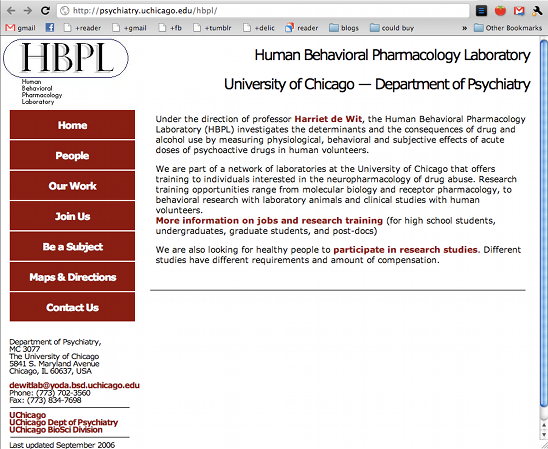 I created this website for the psychiatry lab I worked in in 2006. 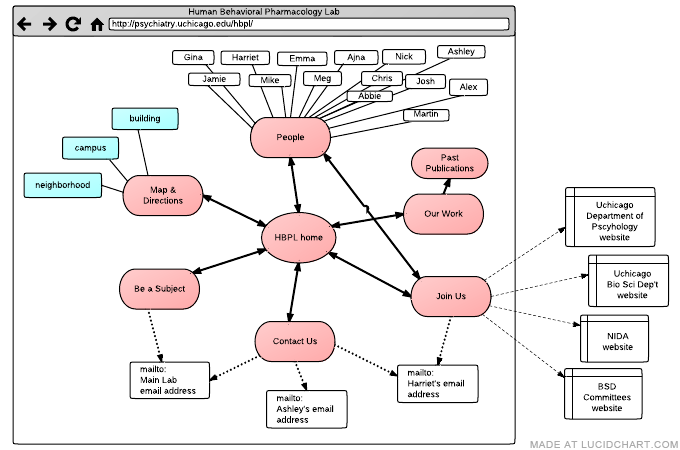 My original elements were the fonts used, tighter kern in the titles, original logo for the lab (still in use), new menu titles, cleaner arrangement of content into columns. 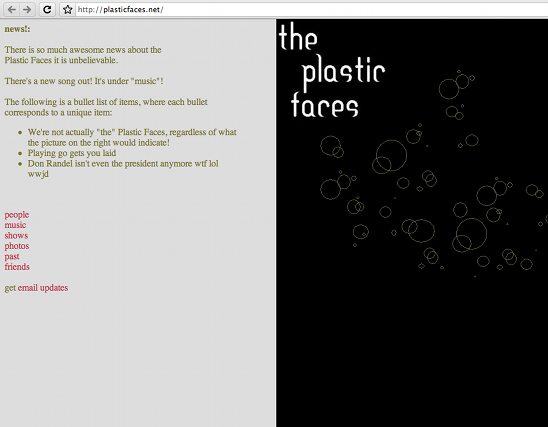 I created this website for some friends' rock band in 2005. Everything here is original, including font choice, background image, layout, logo, and content.